The people need to know…. they have a right to know! 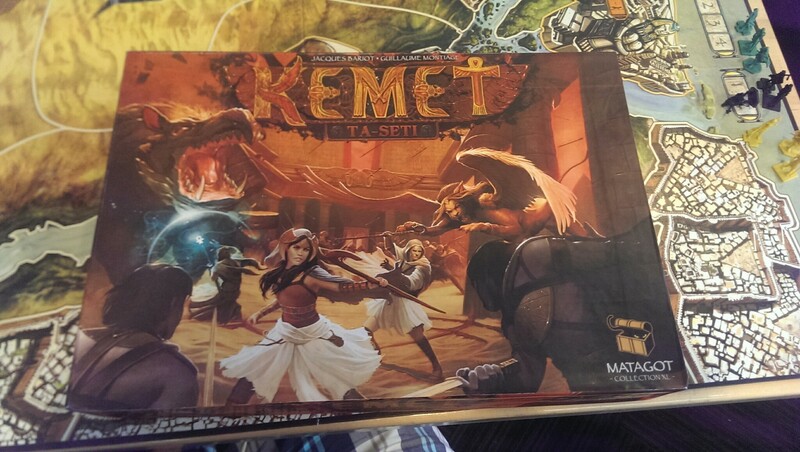 I’ve never played the base game Kemet, but now I really want to after getting an overview of the game and the new expansion. 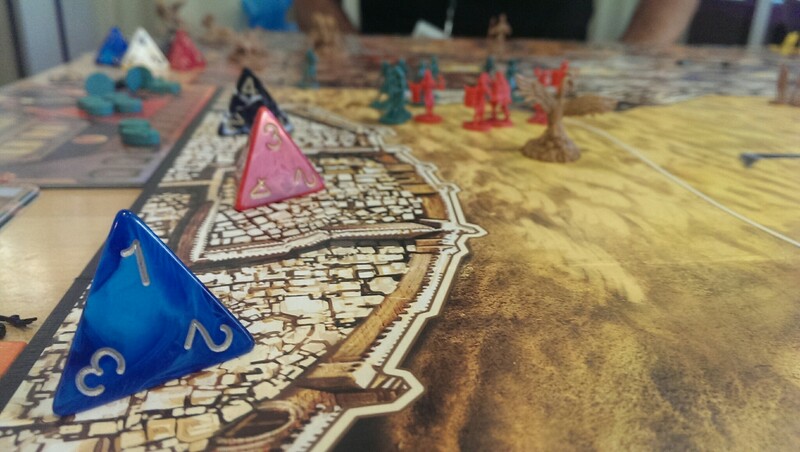 Kemet is a wargame, basically, but not your basic build-em-up-armies and lots of dice rolls. You’ve got armies, yeah, but you’ve also got a set of cards for combat instead of dice. Each combat card does damage (and defends against damage), but has third number to determine who actually “wins” the combat. So, with smart card play, you could rush in with a small force, sacrifice that force against a larger one to cut down on their units, and still technically ‘win’ the battle to score a point. It’s pretty simple to regain more units, and you can also gain points by controlling certain areas of the board. Finally, a thematic use for d4’s! There’s also a neat tech tree, which allows you to obtain new powers and abilities and even mighty unique units, and you play to a point limit. The expansion adds a fourth set of tech, which each player can choose to swap out for one of the three originals – but you can always capture another player’s pyramid for the tech you don’t have. It also adds some new combat cards, and a new off-to-the-side board for priests to seek enlightenment, following a path that grants additional bonuses to your armies and eventually some points. Send your priests or whatever on a journey to enlightenment! I really want to play Kemet now. It seems like a very dynamic, aggressive game that doesn’t end up shoving people into corners with no change to win the game. The board and components are all beautiful, and the expansion looks like it adds a few really neat elements for experienced players. 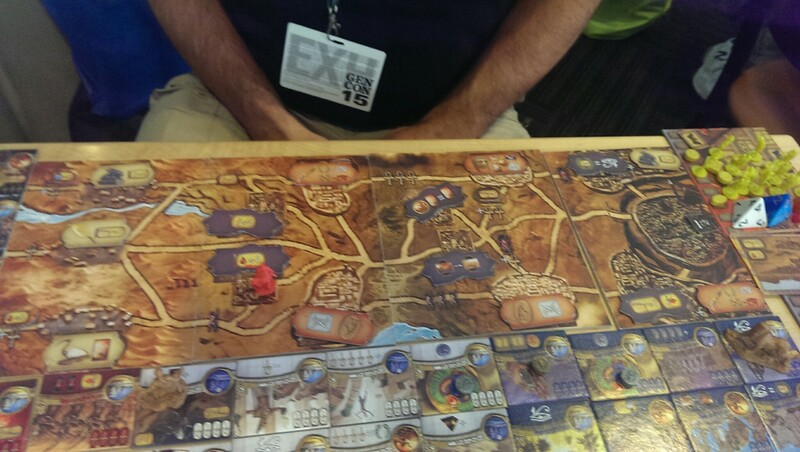 Kemet fans, look forward to Essen!